Since the advent of the Internet, numerous digital news organizations have had difficulties remaining operational as commercial entities and the number of not-for-profit startups has grown. 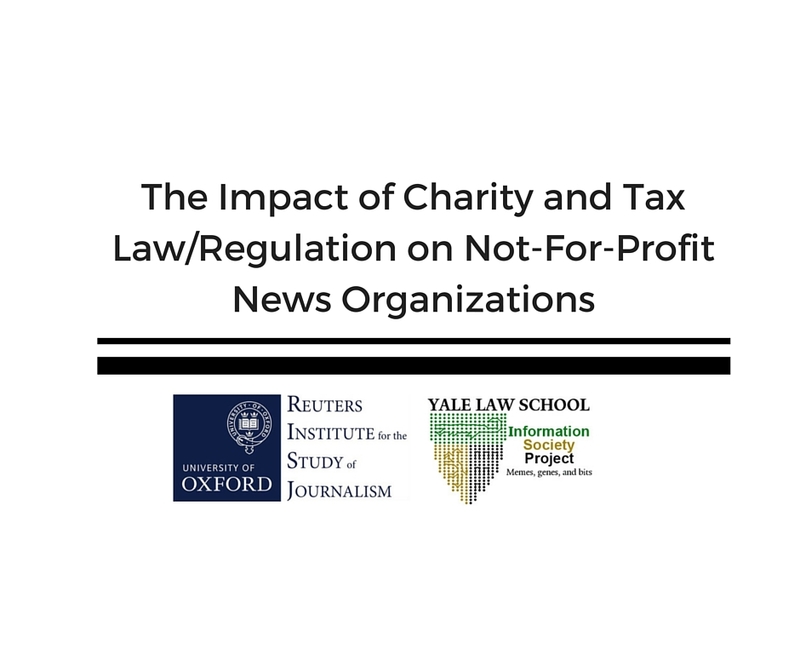 An important challenge for these news organizations is whether the legal systems in which they operate provide a conducive environment for charitable media and whether it can help explain their development.The legal qualification of news organizations as charities and the conferral of tax-exempt status are necessary to gather the necessary public support for their activities. However, in a number of jurisdictions, non-profit media outlets are often confronted with long-established legal frameworks that do not include journalistic activities within the concept of ‘charitable status’. These news organizations thus face significant delays and uncertainties during the process of obtaining tax-exempt status. Directed by Robert G. Picard, the ‘Impact of Charity and Tax Law/Regulation on Not-for-Profit News Organisations’ project examines regulatory systems in five countries: Australia, Canada, Ireland, the United Kingdom (England and Wales), and the United States. The final report Final Report (PDF 2MB), published in March 2016, compares policies and impacts between countries and identifies best practices in policy and regulation.